Many have admired the High Sierra; few can call it home. Against this idyllic backdrop, sits an opportunity rarely seen in the Valley…56 new slope-side residences and a boutique inn will be available to a fortunate group of homeowners and visitors. At the base of the mountain and steps from the Village, PlumpJack Squaw Valley Inn & Residences rests in one of the most coveted locations in the region. The forward-thinking design is a product of the award-winning CCY Architects of Aspen, Colorado. A sleek exterior is in perfect harmony with the spectacular setting. Inside, floor-to-ceiling windows frame dramatic mountain panoramas. With an “alpine luxe” aesthetic, the property exudes PlumpJack’s approachable style and signature hospitality. PlumpJack’s distinctive brand is known for its high-touch service and thoughtful amenities. The Residences deliver on that promise with an attentive staff, in a comfortable and casually elegant setting. Residents will enjoy the on-site restaurant and bar, pool, fitness center and ski valet. 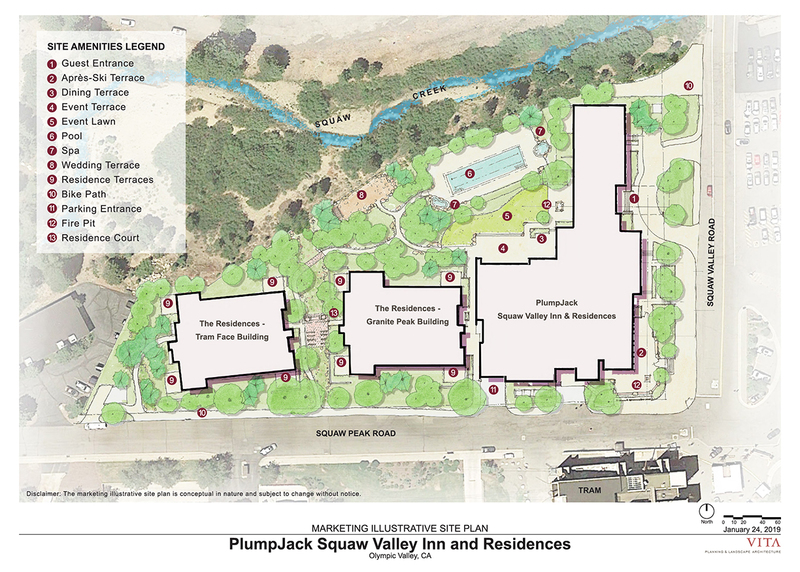 Buying into the PlumpJack family entitles owners to additional fringe benefits, such as access to PlumpJack Group’s portfolio of world-class wineries, boutique hotels, and innovative restaurants and bars in San Francisco, Napa Valley, and Carmel-by-the-Sea. Join us in praise of nature, sport, food and family. Select desired Unit Type & Floor to view floor plan.